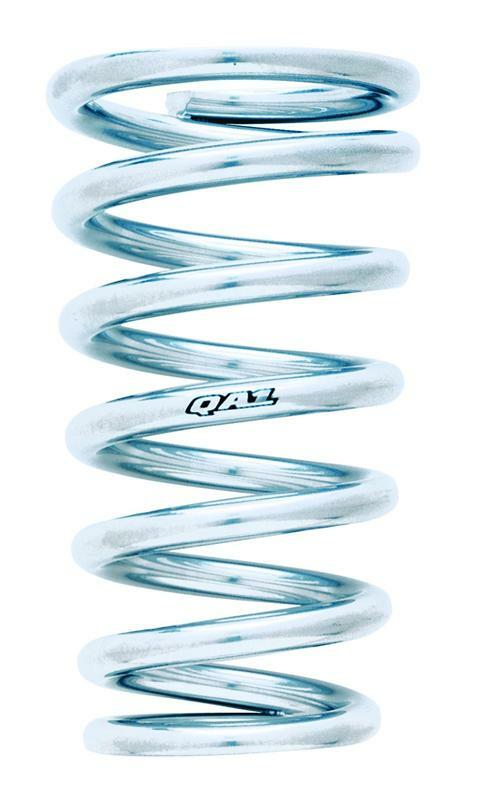 These powder coated, chrome appearing springs fit perfectly with QA1’s Pro Coil Systems. These springs are available with flat and pigtail ends and in 10” and 11” free lengths. 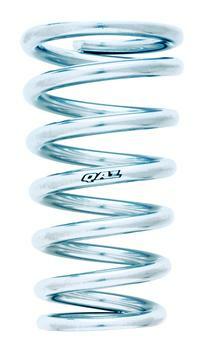 Made with the highest quality materials, QA1 springs are strong, consistent and have a long life. All QA1 springs are lifetime guaranteed to remain within 5% of the original free height under normal operating conditions. To determine the springs used in your Pro Coil kit, simply use the information after the hyphen in the kit part number. The first 2 numbers represent the spring length, the next three numbers represent the spring rate, and the last letter represents the style code of the spring. For example, the spring in the GD401-10350A kit has a 10” length, 350 lb. rate, and is a style code “A”. Using the chart below, we go to style code “A”, find the 350 lb. rate, and see that the spring part number is 10GSP350. QA1 Pro Coil Springs are also available as Vehicle Specific kits already tuned for your Vehicle Specific Pro Coil System.